Skye Gravestones | Effie (Macpherson) & Hugh Robertson & family. Effie (Macpherson) & Hugh Robertson & family. 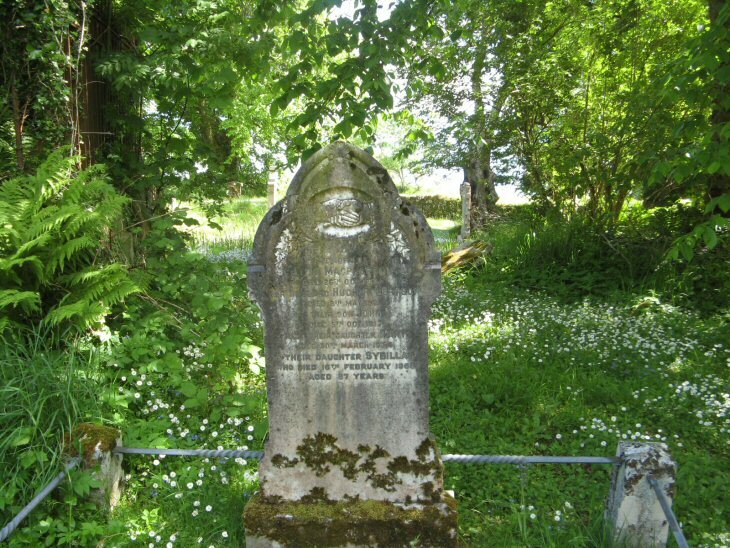 In loving memory of/EFFIE MACPHERSON/died 26th Oct. 1900/her husband HUGH ROBERTSON/died 8th May 1921/their son JOHN/died 5th Oct. 1917/their daughter MARY/died 30th March 1934/their daughter SYBILLA/who died 16th February 1966/aged 87 years. Picture Added on 07 January 2014.